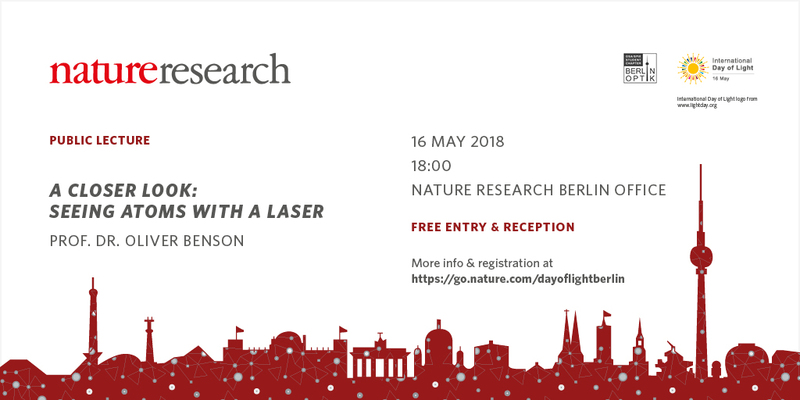 Springer Nature will celebrate the UNESCO International Day of Light at their offices at Heidelberger Platz on May 16th. We are pleased to invite you to this FREE evening event. 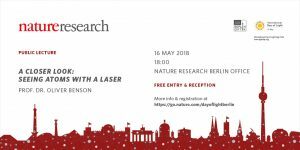 The Berlin Optik Student Chapter supported Springer Nature in the organization. 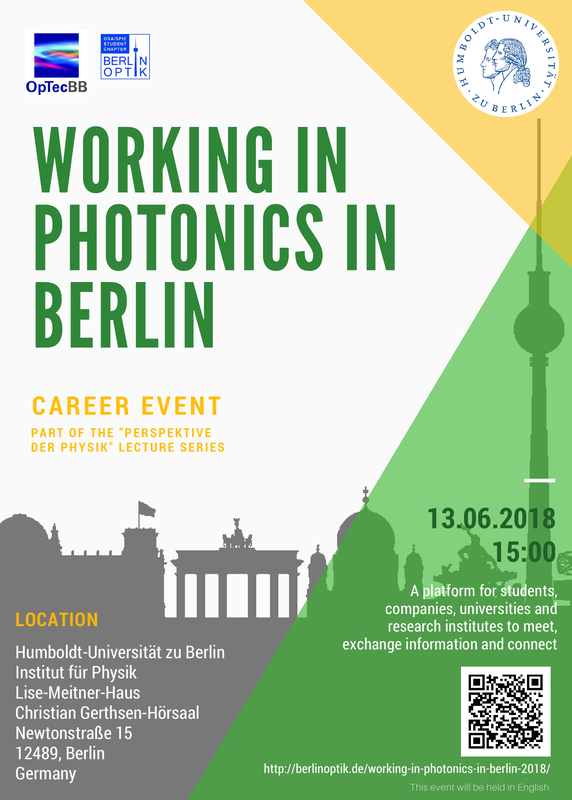 The program also includes research pitches from local PhD students, light art on display from Berlin artist Volkhard Kempter, and a networking reception. The event is in English. Please forward this announcement to your networks and feel free to print and display the flyer.